Fill out this Ames Talent Show Permission Slip and return to the main office by Friday, April 12th. Students cannot do more than 1 act. (This does NOT include a Teacher Organized Act). Students who turn in the permission slip will audition. Auditions will be held on Tuesday, April 16thin the Ames gym starting at 3pm. Dance routines, gymnastic routines, skits, instrumental acts, comedy routines, poetry readings, karate routines (without weapons), singing, magic acts are all examples of acceptable performances. Lip-synching is not permitted. If you have questions about the appropriateness of an act, please contact Tia Sherman at tsherman13@gmail.com. Acts will be limited to 1 minute and 30 seconds. If music is required for an act, it will need to be edited to 1 minute and 30 seconds. All music is due on the day of the audition. Music can be emailed to Tia Sherman or you may bring a CD. When auditioning, acts should be well prepared. Acts may not be changed at dress rehearsal and/or the night of the performance. 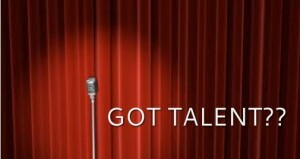 The auditioned act is the act that is performed in the talent show. When auditioning, students will need to describe their costume. All costumes should be appropriate for school. Costumes need not be worn to audition. Parent Volunteers- Parent help is needed in order to run the show. Help is needed with auditions, dress rehearsals, performance day/night and creating the program. Please email Tiffany Smith at tsmith@caselotsinc.comif you are interested in volunteering. 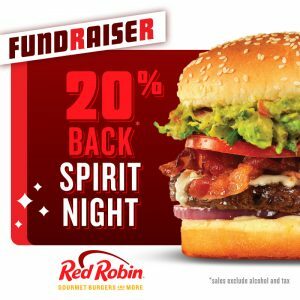 Mark your calendars to eat dinner at Red Robin in North Riverside on Tuesday, April 9th from 4:00 to 8:00pm and support Ames School. Eat dinner with your family and friends and a percentage of the sales will be donated to our school! Please join us Thursday, April 4th at 6:30 PM in the art room for our Ames School PTA meeting.